METAL PULP AND PAPER: Hello Marcus. So Glad to be catching up with you. Thank you for taking the time to answer some questions for Metal Pulp And Paper. We appreciate it. MARCUS RAFFERTY: Absolutely! Glad to have the chance to chat with you guys! 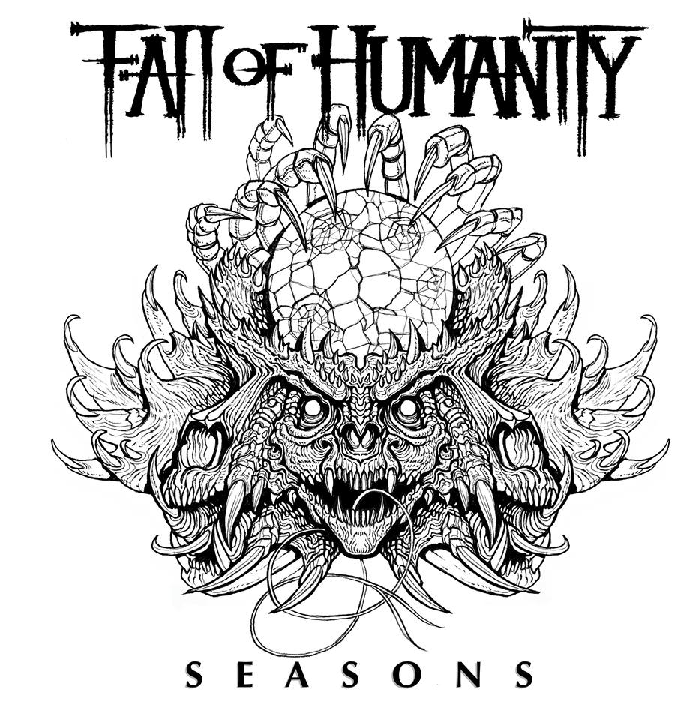 MPAP: Someone is just turning on their computer and logging into iTunes, what would you want to say to that person that will grab them by the eardrums and make them want to check out Fall Of Humanity’s new song called "Seasons"? MARCUS: This song is real, it’s a piece of me that is rarely brought out. Darkness brings out the light in the most brutally beautiful ways. Listen to this song with your eyes closed and when you open at the end you will see the image that I’m telling. MPAP: You also have a video out for the song as well. Tell us what this video is about? What message are you trying to get across to the viewers when they watch it? MARCUS: The video tells the story of a beaten man trying to dig himself out of the lowest point of his life. He walks through his own personal hell only to find the light at the end. MPAP: Fall Of Humanity is a fairly new metal/rock band with their stomping grounds in North Syracuse, New York. What else do we need to know about Fall Of Humanity? What are you putting out on the table for all to see and hear? MARCUS: Fall of Humanity is a group of brothers in a sense. While my big brother Mike is the drummer, our lead Guitarist Jimmy Falco is as good as blood to Mike and I! In all of our madness and struggles no matter what happens between the three of us, we always manage to create something beautiful in the end. We are very family oriented, and we love our home town. We shot the music video for "Seasons" in its entirety up here in the Syracuse area not only because it provided great shooting opportunities, but we wanted to show the world some of New York’s best kept secret, and our home town! Our director, Mr. Wombat Fire was pleasantly surprised with what we had to offer! MPAP: Your partners in crime and one of them just happens to even be your brother, tell us a little about who makes up the foundations of Fall Of Humanity? MARCUS: I got ahead of myself in the last question haha! MPAP: Now, a little bit about you. Currently, you are a guitar tech for the Richmond, Virginia based metal band Lamb Of God. How did becoming a guitar tech all come about for you, and how long have you been doing it? MARCUS: This is a long one! Haha! OK so my brother Mike “Drummer of FOH” played in a band called Brand New Sin in the early 2000’s after his departure from that band he started teching for Chimaira. After that tour ended Mike went out with Trivium. On the Trivium tour they played Syracuse and stayed a couple days at my parents house. Mama and Pops always take in bands. The Trivium dudes thought it would be a good idea to bring me out to do merch , so I picked up and left! I got home sick after a few weeks and broke down, my mom assured me that I would be ok and sent my pops up to Cleveland to surprise me with some friends! Pop and mom told me that no matter what, they will always be a phone call away! After that I went out with Nothingface selling merch, played lead guitar in Silent Civilian then I started guitar teching for Hellyeah, Hatebreed, Mudvayne, Anthrax, Fozzy, Saxon, Lamb of God. Etc...I’ve been kicked around a lot! Haha! MPAP: You’ve also been a guitar tech as well for bands like Hellyeah, Fozzy, and Hatebreed, including Mudvayne, among others. Do you have a bucket list band you’d like to tech for some day? MARCUS: I guess my bucket list band would be my own. This is my dream, I’ve always wanted a band of my own with my big brother. I feel like I’ve already reached all my life goals , so everything from here on out is a bonus! I’ve got the band of my dreams, my beautiful wife Ashley and two sons Dane and Hunter and the best parents and in-laws a guy could ask for!..And Jimmy! MPAP: More than likely you have learned a lot of the rules of the road of being in a band already before you even stepped into the Fall OF Humanity band shoes? What has been being a guitar tech for so many huge bands and musicians taught you over the years that you can take with you and use in Fall Of Humanity? MARCUS: Well I’ve learned to just be myself. Stay humble, don’t expect too much and work hard because you only get out as much as you put in. MPAP: Talking about life out on the road, which sometimes can take you across the globe, how do you balance things between family, friends, loved ones, and especially between your wife and kids? MARCUS: That is the hardest part . My wife and kids are my everything . The only way i’m able to press on is because Ashley is my biggest supporter. She is my rock. Talk about an amazing woman, she picked up a job when I was between tours and stayed when I left with Lamb, she goes to work, then comes home to our two young terrorizing boys! Haha! I hang with them now while she’s at work and that alone wears me out! She’s Super Woman! MPAP: You’re being called Rocks new powerhouse. Is that something you’re ok with, or something that makes you nervous to uphold? MARCUS: Always nervous! But I truly believe in our music, I believe in the message. I hope we withstand the test of time and I truly believe that it's something that everyone can relate to! MPAP: How soon until we can get our hands on a full-length release from Fall Of Humanity? MARCUS: These days it's tough to break a new band. We are really trying to put out the best representation of ourselves. That being said, we are going to focus on singles this year, and we will see what the future brings! But look forward to several releases throughout the year! 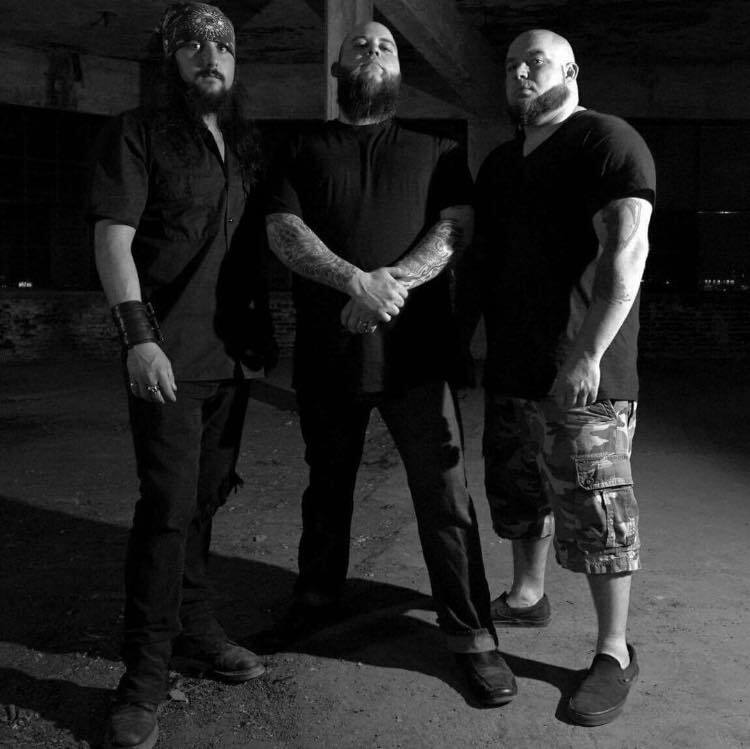 MPAP: When you plan on making the new Fall Of Humanity album, will you be tapping the shoulders of some of your musician friends you’ve made over the years to be guests on it by any chance? MARCUS: Oh I have some plans. Haha! There are several people that I would love to do songs with, and we will see what happens. MPAP: Going back to your new single "Seasons", it has got some great reviews. Jose Mangin (Sirius XM)- Instantly impressed, I knew I had to add Fall Of Humanity to Liquid Metal…when fans and peers started reaching out I knew this was something sick! Randy Blythe (Lamb Of God)- Savagely technically proficient instrumentation combined with pummeling vocals make Fall Of Humanity feel like a hammer to the face. Vinnie Paul (Hellyeah/Pantera)- Fall Of Humanity rocks! A breath of fresh air with great hooks! Chad Gray (Hellyeah/Mudvayne)- Fall Of Humanity deserves a shot at becoming something special and I truly believe they can. Willie Adler (Lamb Of God)-Fall Of Humanity reminds me of why I love Rock and Metal. So how does this make you feel when you read things like these? MARCUS: I look at it as these are my true friends, not just on an employer employee situation. These are my close friends that really care about my band and myself on a personal level. It shows me that I have impacted their life as much as they have impacted mine! MPAP: Chris Kael (Five Finger Death Punch) also commented, ‘Seeing Marcus front and center with Fall Of Humanity is where he should have been all along’. Could Fall Of Humanity become full-time and someday you might hang up the guitar tech shoes and let someone else fill them? Or is a guitar tech your first love and Fall Of Humanity is just for fun and mess around with until it’s time to go back out on the road? MARCUS: Fall Of Humanity is it for me man! I said that the Lamb Of God run was my last gig behind the scenes. I really believe in my group and I am ready to put everything I have into this! MPAP: What’s next for Fall Of Humanity? What’s in the crosshairs, what can your fans expect next? MARCUS: We are working on touring. We want to do it right. I’ve been around the block a couple times and my manager Paul has as well. We are working on the right tour, right time,etc. So fans, YES!! We will be touring!! That and writing constantly. Lots of new music to come as well. MPAP: One last question before we bring this interview to a close. At the end of the night, after the tour is finally over, and all the band members have said their goodbyes and are already making their way to the airports to go back home, and you don’t have to think about being a guitar tech until the next journey, the next tour, what are you proud of the most? MARCUS: At the end of the day, I’m most proud of the fact that everything worked out. My wife doesn’t have to struggle with scheduling anymore, I can go to band practice and write music. I made new friends, caught up with old friends. And most importantly I know that my wife, kids, parents, my big brother, and my band are proud of me! MPAP: On behalf of myself and Metal Pulp And Paper, I’d like to thank you, Marcus, for being a part of this interview. Look forward to what Fall Of Humanity does to finish out the year 2017 and beyond. Any last words for the readers and all your fans out there? MARCUS: Thank you all for the Love and Support, We’ll see you out there! WE ARE THE FALLEN!!! !